A study conducted by Dr Kate Lee from the University of Melbourne revealed that glancing out at a greenroof for only 40 seconds markedly boosts concentration. Beyond the increase in concentration levels, greenwalls help to improve air quality, are aesthetically appealing, lower power bills and even act as an insulator. 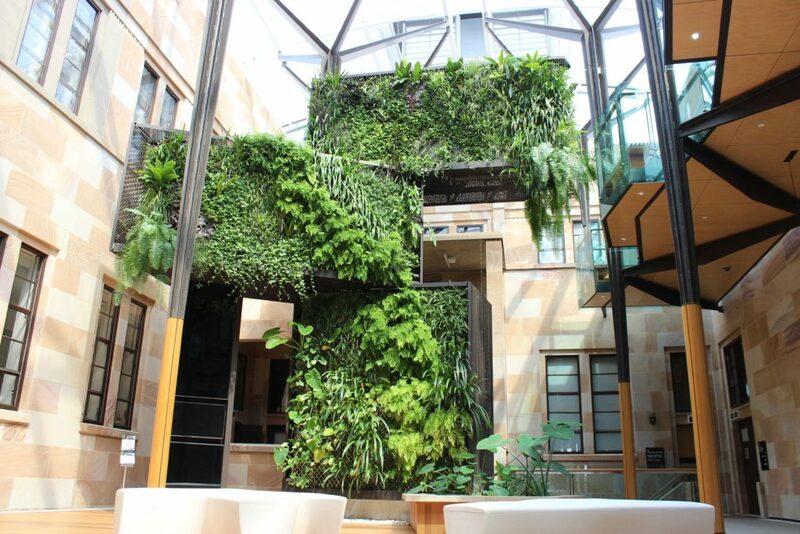 In 2013, The University of Queensland introduced their new Global Change Institute Building, which features The Greenwall Company’s unique greenwalls as the key design feature and achieved a six green star rating. A 70m2 panelled greenwall was installed over the air conditioning vent. 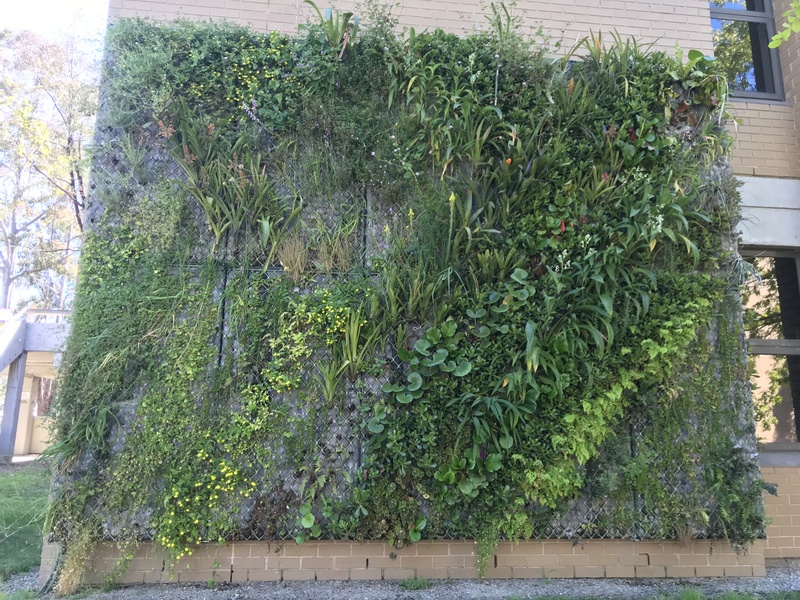 This formed part of the air filtration system, allowing the greenwall to clean and purify the air, which facilitates the idea of a “living building”. The greenwall design also included a pond of native rainbow fish with waterplants and a vertical wetland to strip nutrients from the pondwater [a simple ecological system] truly embodied the university’s green ethos and ongoing commitment to sustainability in research and education. La Trobe – Growing in progress. Posted in Architecture & Design, Industry News, New Products and tagged australia, greenwalls, La Trobe University, university. Bookmark the permalink.